If you haven’t heard of Raspberry Room yet, let me tell you babycakes, you’re in for a treat! This gorgeous new tea room is bringing a bit of glamour, a splash of colour and a taste-buds treat to the ‘burbs. So having heard great things Muddy hot-footed it along faster than you can say Champagne & Rose Waffles with a Pink Velvet Latte on the side. You’ll find this tea room sitting pretty in the picturesque village of Brasted, a village on the A25 just outside Sevenoaks. Be one of the first to take your girlfriends or granny here – it’s going to be super popular! Raspberry Room founder, Ellie Ismail, created her successful bespoke baking service from scratch in the evenings at the end of her day job in investment banking. Now she makes her cookies and cupcakes for A-list events such as Paris, Japan and London Fashion Week – and has a client list that includes everyone from everyone from royals to Victoria Beckham and Stella McCartney. The reason for this success is Ellie’s hard work and attention to detail. 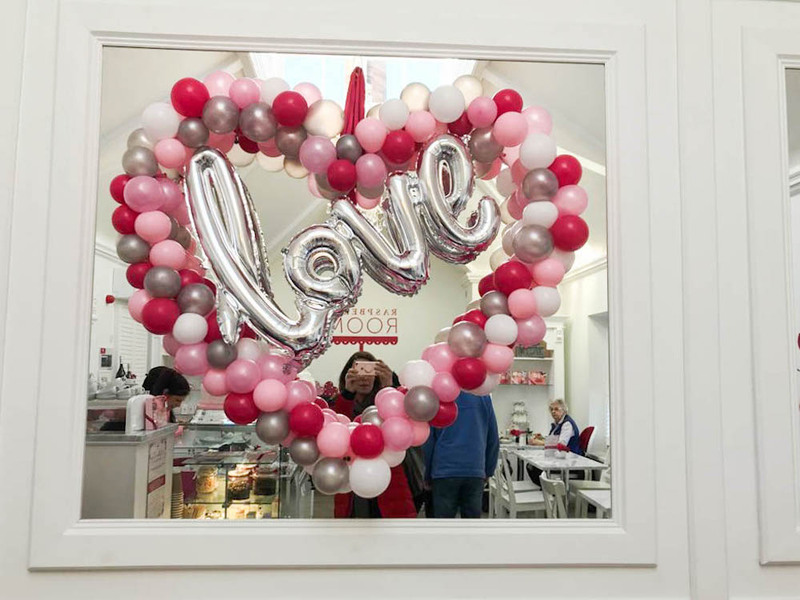 She pours her heart and creativity into every biscuit and bite – and so when she opened this, her first tea room, the same work ethic is reflected in the swish interiors and carefully thought through menu. 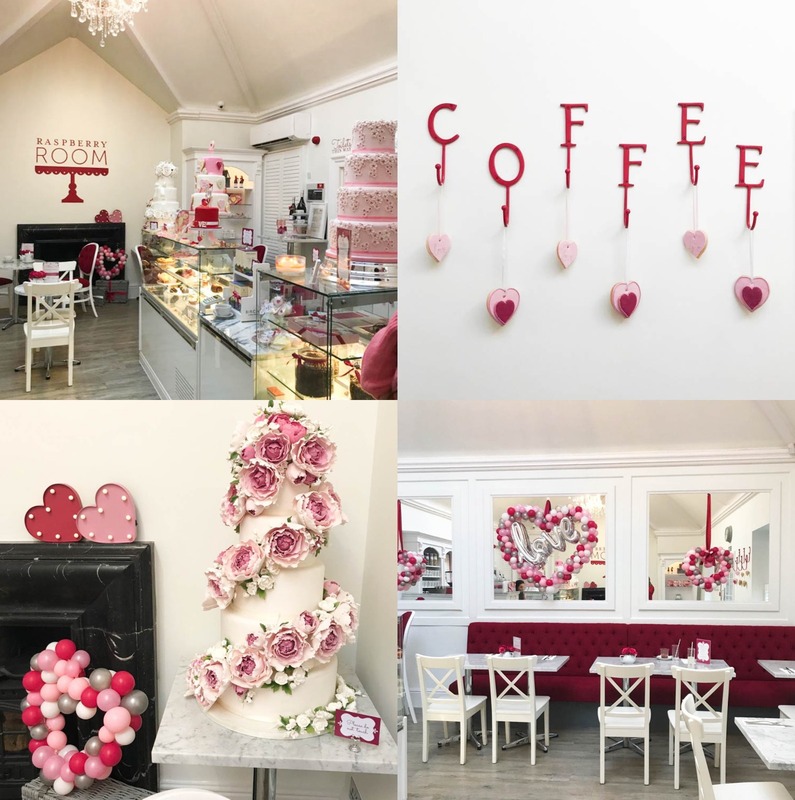 I visited just before Valentine’s so the room was full of hearts (stylishly done of course) and a fair dollop of pink but to be honest the decor is always raspberry coloured so you still get the idea. Lots of fresh white, pops of pinks and a wonderfully high vaulted ceiling that adds to the light, bright feel. The boutique bakery serves freshly baked cupcakes, cookies and cakes as well as savoury options for Breakfast, Brunch or Afternoon Tea. The mouth-watering menu includes …. Homemade Soup of the Moment, Smashed Avocado with Sweetcorn Zucchini Fritters or Champagne & Rose Waffles. Or you can choose from the selection of Sandwiches & Bagels, adding in Sweet Potato Fries of course. Oh and I’ll be back to try the Secret Full English Society – which I just know will be delish and not greasy fried breakfast at all – but (to channel my inner Kenny Everett) ‘all done in the best possible taste’! Oh yes. 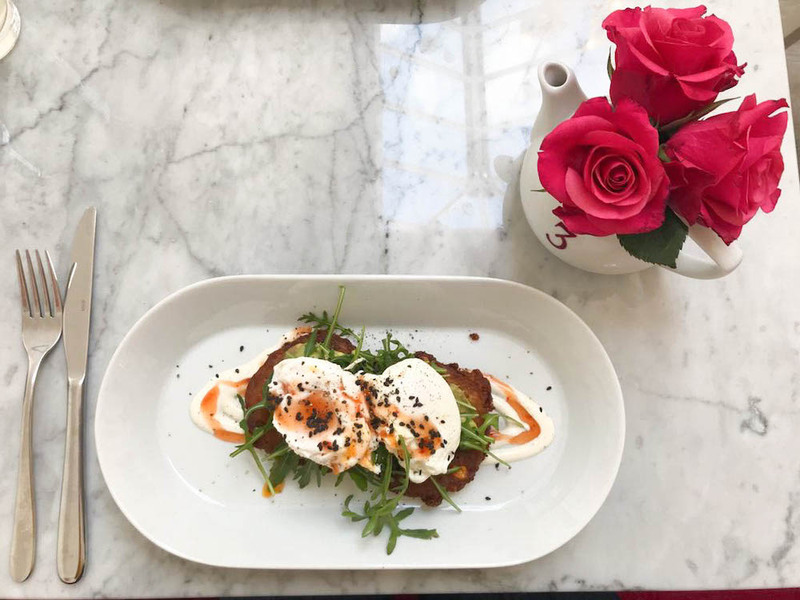 The Little Raspberries Menu is short and sweet Baked Waffle with Maple Syrup or Nutella; Dippy Egg, Soldiers & Sailors or Cheesy Sandwich – all £5.50 and served with a glass of milk and biscuit. 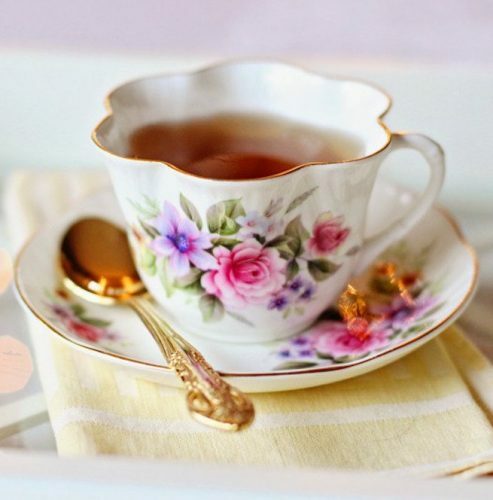 The Afternoon Tea offering even has a Little Raspberries option which consists of a selection of sandwiches, freshly baked scones and a selection of pastries and cakes – served with hot chocolate, orange or apple juice (£12.95 per child). I mean this is treat territory. I’m thinking a weekend special or for some after school bribery action. The Raspberry Room café can be found sitting pretty in Brasted, a village on the A25 just outside Sevenoaks, that is well worth a visit. With gorgeous homeware stores Holloways of Ludlow Home and other interior and antique stores on the high street you’ve got some fab shopping options here to build up your appetite. 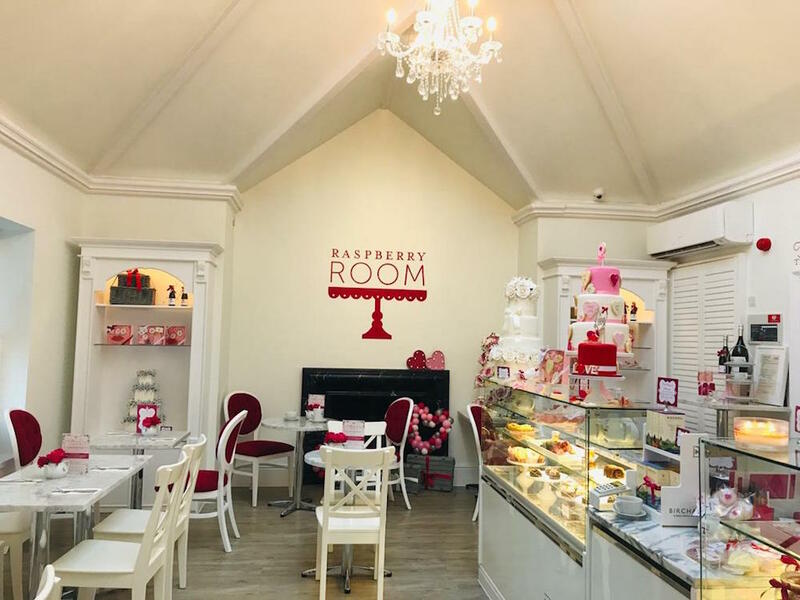 Raspberry Room is available for private hire on a Sunday and can host your parties and events – perfect for a baby shower, girlie get-together event or Children’s birthday. Click here for more details of what’s involved in the 2 hour cupcake or cookie decorating party. They’re also planning sugarcraft and cake decorating classes so keep an eye on their website and our What’s On pages so you don’t miss out! 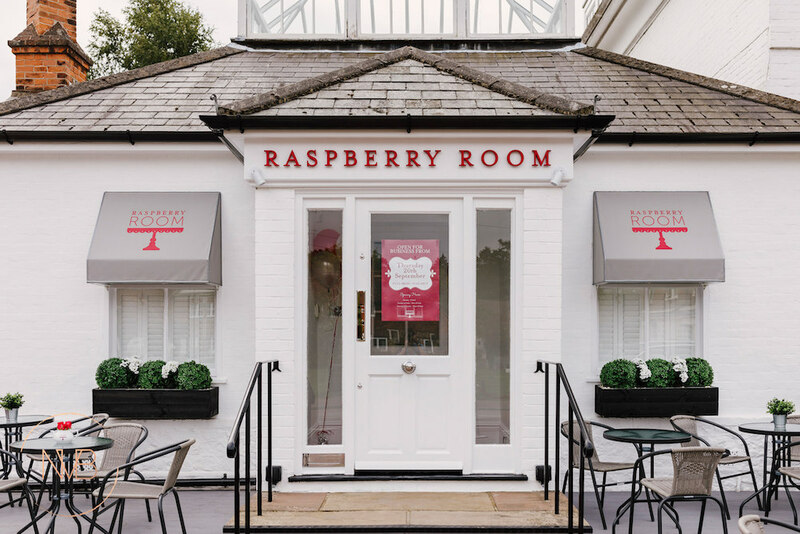 You’ll want to snaffle the branded Raspberry Room products including the ever-popular hampers and personalised aprons (gift vouchers are also available). 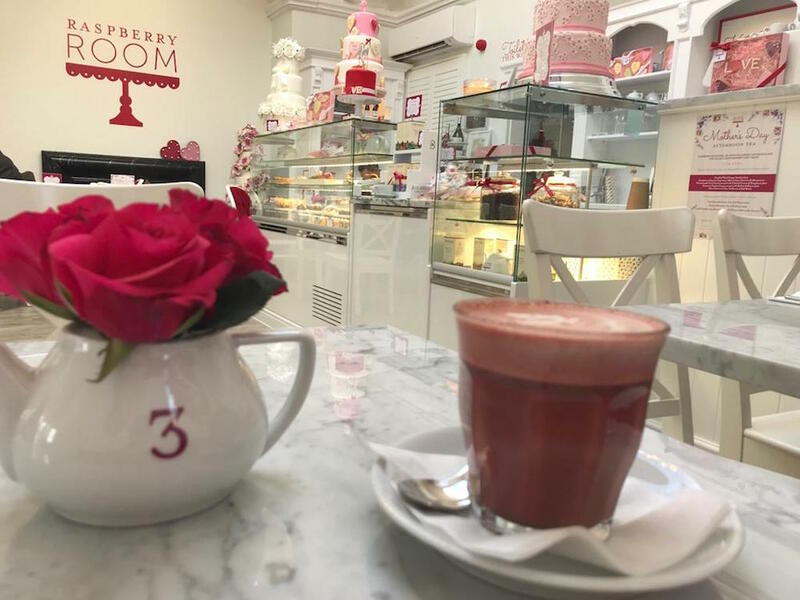 Raspberry Room will be open on Sunday 31 March for an exclusive Mother’s Day treat – you’ll need to book ahead (please tell my kids). Good for: a gorgeous, little gem of a café sitting outside Sevenoaks (so no crowds and free parking!). 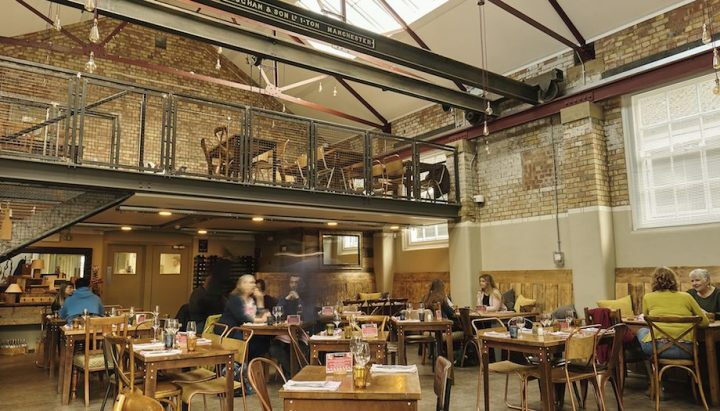 Somewhere to go for a relaxed girlie lunch or when you can’t face feeding yourself/your other half/the kids. A lovely little, light bright space. 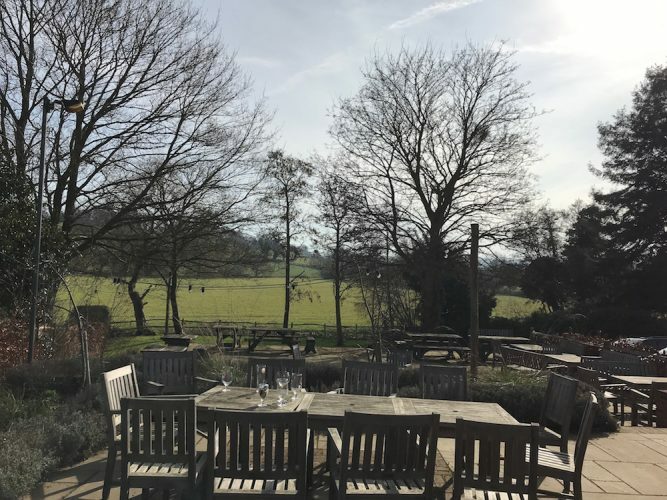 This is the perfect place to take your friend, mum or mother-in-law for a relaxed, girly bit of glamour – and the kids’ party option and cookery workshops make an original event option. Not for: Anyone with an aversion to pink (and if so, what’s wrong with you!? Or anyone with kids who just can’t sit still (unless maybe you’ve exhausted them with a decent walk first) as there’s no outdoor area. The damage: It’s fairly priced for home cooking this good. Breakfast and Brunch from £5.95 for Cardamom & Rose Spiced Oat Porridge to £ £10.50 for Secret Full English Society breakfast. Sandwiches, £6- £9. Children’s/Little Raspberries, £5.50. Is this cafe similar to Feya the Instagram cafe in Marylebone? Feya has pastel coloured lattes etc Just curious? Ellie has had a bespoke room fragrance made, called Raspberry Rose. You can buy it as a candle, room spray or diffuser directly from the café. Excellent gift for Mothering Sunday, as afternoon tea that day is already fully booked. Alternative dates are available.